August 3, 2011 Lexli International, Inc. Without a doubt, retail sales are vital to a spa’s profitability. In fact, in a February 2010 survey conducted by the International SPA Association (ISPA),* 48% of day spas noted that retail accounted for 15% or more of their total revenue. The challenge, however, is that retail sales are dependent upon the investment of time and money put into growing that side of the business. Consider the tools commonly recognized as necessary to the success of a retail practice—the build-out of an engaging retail area, ongoing brand/product training for staff, and an annual marketing budget to keep products top-of-mind—and you realize that a retail strategy is by no means easy. Yet, even after making all the right moves to grow your retail business, its success is threatened each day. By what? The Internet, of course. Most skin care lines are available online—yes, even the professional brands—where low overhead increases the likelihood that consumers can find better pricing. Add to this consumers’ increasing preference for online shopping; e-commerce is growing by 10% annually and is expected to comprise 8% of all U.S. retail sales by 2014. And then there’s the challenge facing resort and hotel spas. According to the ISPA survey, only 17% of resort and hotel spas can claim retail sales that account for 15% or more of their overall revenue. Given that their clientele is heavily transient, it’s difficult for spas within the hospitality market to build a vibrant retail program. In considering these dilemmas, Lexli, the premier line of aloe-based professional skin care products, has introduced the Lexli Loyalty Program. Designed to eliminate the threat of online retail competition and the risk of isolated retail purchases, the Lexli Loyalty Program opens a new sales stream for professional accounts. In fact, since its launch in December, the program has been described as “a game changer” by many in the industry. Through the program, Lexli products may be sold to consumers online at www.lexli.com. However, the commission for that sale is linked to the skin care professional with whom the consumer has a relationship. If individuals currently do not utilize the services of skin care professionals authorized to sell Lexli products, they must select one in their area via zip code search. While the individuals do not need to visit the professionals to shop at www.lexli.com, this step ensures they have the name of a Lexli professional should they choose to take their skin care to the next level. As such, it creates a resource through which spas can acquire new customers while benefiting from the growth and demand of Lexli skin care products in their local market. Spas may promote the service within their facility by offering their clients an identifying code that grants them access to the Lexli shopping cart online. In fact, some spas are choosing to include their unique online code on collateral materials, business cards and the like to increase profits through the online channel. This added convenience allows spas to better service their existing clients, “capture” the client throughout the life of their Lexli purchases and improve overall profit margins. A 90-day no-risk guarantee, during which time Lexli products may be utilized risk-free. No minimum requirements for first-time orders. Immediate participation in the Lexli Loyalty Program. A product support program accompanied by product training for spa staff. Free samples and marketing collateral. 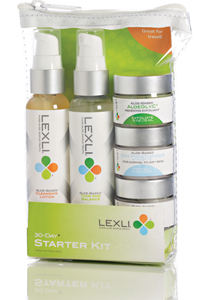 Now through August 31, 2011, Lexli is offering skin care professionals that sign up as new professional accounts a $150 (wholesale cost) credit on their first order. To receive the credit, a minimum order of $500 (wholesale) must be placed. Of course, as a new professional account, you will immediately be a part of the Lexli Loyalty Program, the company’s online retailing program. Your spa, physician's office or other licensed esthetic practice will be listed on the Lexli website, thus allowing consumers to select your organization as their preferred skin care professional when they purchase products. Each time that individual makes a purchase, you’ll be credited a significant commission. Given that Lexli fulfills all online sales and directly answers consumer questions and customer service needs, the program is an easy way to augment profits. To learn more about the Lexli Loyalty Program or the company’s line of aloe-based professional skin care products, visit www.lexli.com or contact the company at 877-893-3417 or cs@lexli.com. The Rejuvenating Program includes the brand’s four-step aloe-based skin care regimen in formulations for normal to dry skin, with modifications available for oily skin. 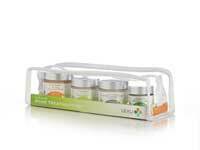 Additionally, Lexli carries an array of specialty products for use on particular skin care concerns. Learn more about this product regimen! The Acne Program includes the brand’s four-step aloe-based skin care regimen in formulations for acneic skin.